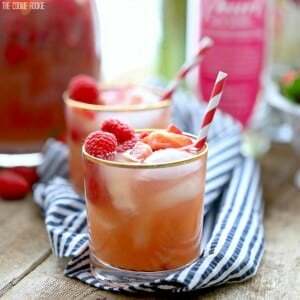 Red Berry Sangria is the perfect refreshing cocktail recipe to make and sip this Spring! This is the perfect sangria for spring. All the berries and all the wine! Place fruit, wine, vodka, and berry juice in a pitcher and stir. Right before serving, add the lemon lime soda and stir to combine.